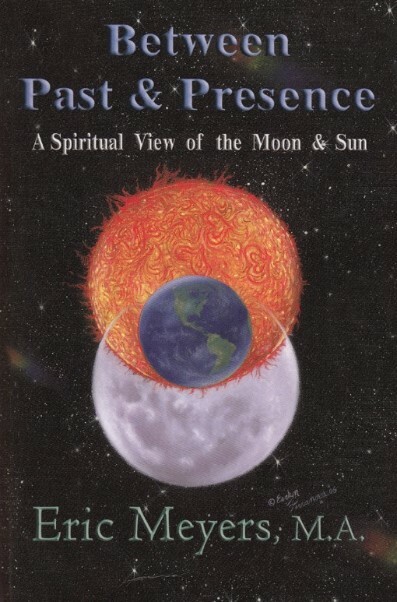 Between Past & Presence: A Spiritual View of the Moon & Sun (2006) is an astrology book written at an advanced-beginner to intermediate level. 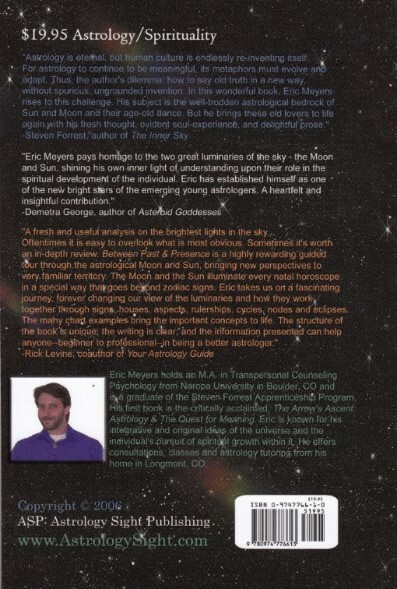 This book addresses the relationship between the Moon and Sun and the relevance to spiritual growth (not gender). Through exploring signs, houses, aspects, rulerships, nodes, cycles and eclipses, a new paradigm of the luminaries is offered. In short, evolutionary growth is furthered by integrating awareness and vitality (Sun) into the depths of the unconscious (Moon). 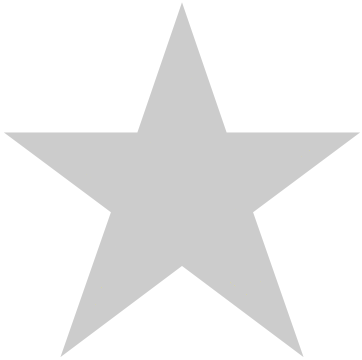 By resolving the past (Moon), we are able to be fully in the present (Sun).